This weeks edition of Things I Love is full of new blogs to check out, photography tips and tea of course! * I took the above photography at the World Tea Expo. These wonderful women were so friendly, we took pics and talked tea. 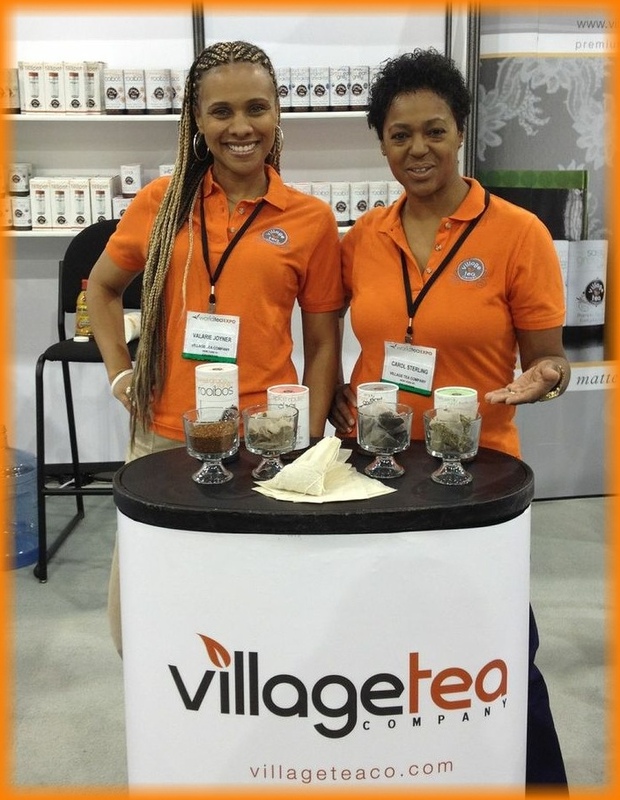 I tried all the samples these lovely ladies from Village Tea Company had to offer. They have a great tasting tea with an inspirational quote with every container. * I have Etsy love for Faire Nest. This Etsy shop has great terrariums, tiny little people, Zombie sculptures, and terrarium necklaces. * A blog I enjoy Positively Present has a great post about 11 ways to conquer your fear of change. * The popular blog A Beautiful Mess has a great post about 10 Things Not To Do re Photography. I plan on trying to put all 10 points to work ASAP.